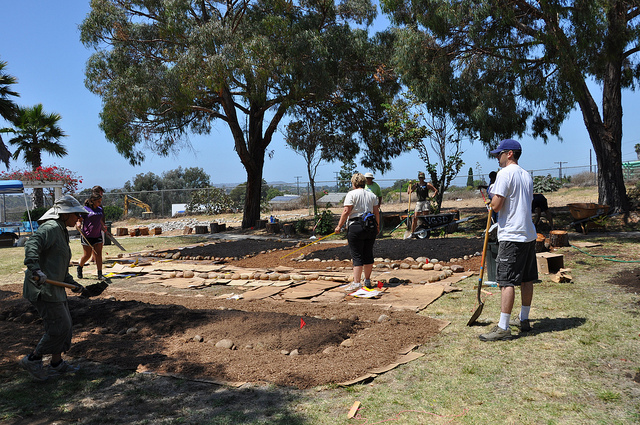 A couple of weekends ago I volunteered at Bayside Community Center in Linda Vista to build their community garden through Dave Cynkin’s Ford Eco-Challenge project. I was glad to help out that day, I even took my teenager and tween to help. My initial impression was it was to help plant the plants and seeds for the garden. But it was a bigger project than that it was to help build the planting beds for the garden. Lots of digging and excavating of rocks was done that day and despite all the dirt and rocks flying it was a fun day full of conversation and more important helping out a community. The Linda Vista neighborhood garden educates through outreach and collaboration and gives hands-on learning to residents in the area. The garden is also a way for the community to share produce and also a way to live a healthier life. Whatever they grow will go back to the community where they will be able to eat what they grow. I learned many things that day about growing a garden: it is hard work to start a garden, it is not just planting and watering and it was a rewarding experience to help the community. If you are thinking of building a garden there are plenty of community resources. It has motivated me to learn more and perhaps starting at least a lasagna garden of my own. Free workshops at The Solana Center for Environmental Innovation to learn how to start your own garden. Victory Gardens has an extensive website. You can find your local community garden with their online finder. 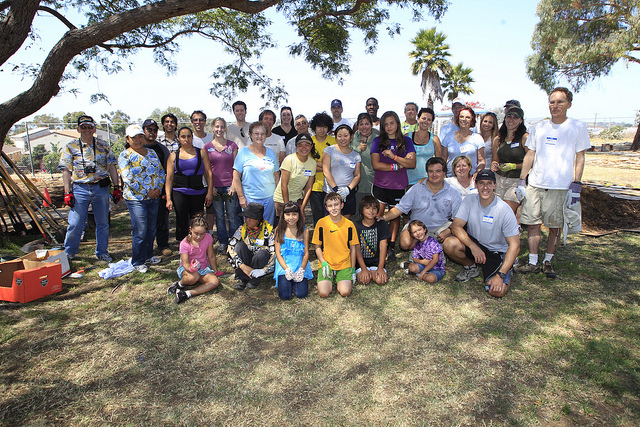 There are over 80 community or community supported gardens in San Diego. Are you thinking about growing your own food or have you been successful in your current garden? Let me know. I would love to hear your story. 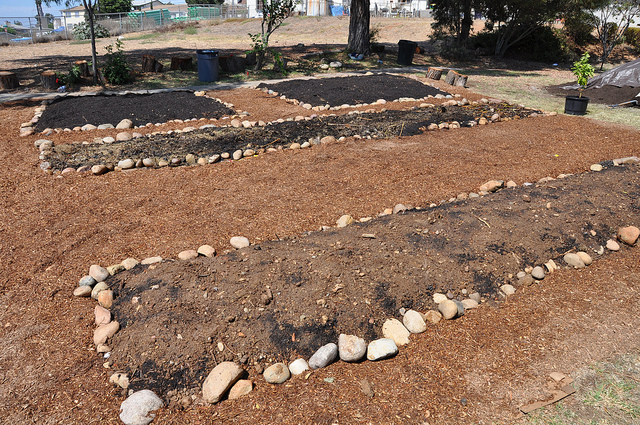 The San Diego Cooperative Charter school is a free public school with an extensive organic gardening program.